"Here is the request area. 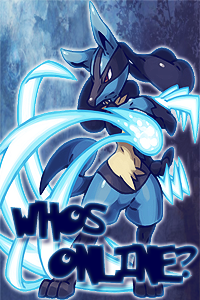 If you want your name colored, Money, Pokemon, EXP, levels added to your profile or trainer card then request it here." "Members can post here to ask about what they don't know about in the forum. Staff will post in your topic to see if we can be the support you need. New Members can come here to introduce there self to other trainers around the site and make friends. Members that are leaving can post here to let the staff know so their position as a Gym leader or other rank can't be taken by someone else." "The Rules of the site will be posted here. All members should check inside of this forum before creating a trainer. Guides of the site are also in here. Read this before doing anything else on the site. This is by far the most important subject for the site." "If you have a Suggestion for the site, it can be posted here. This can help to improve the site. Announcements will be posted by Staff. So stay up to date about the Announcement board, interesting announcements might come up like event pokemon." " Staff shall post Weekly events for trainers, and other members to do. If Events are won, the member gets special rewards such as Money, Pokemon and alot of other stuff. Various types of events could occure, from tournaments to other general stuff." "Your one step closer to beginning your journey in the pokemon world. Create you trainer here. A staff member shall check it to see if it is good enough. Please follow all the rules and templates, they are not their just to show." "Here you can create your very own Pokemon. Please read all the rules and follow the templates." "Here you can create your very own Item. Please follow all the rules and templates." "Here you can create your very own Ability or Move. Please follow all the rules and templates." "Here members can create Organizations, from good ones to bad ones. For example; Team Rocket, Team Aqua, Team Plasma etc.."
"Here are the stores of the site from TM/HMS to Pokeballs. In order to get items you need money." "A Pokemon Center can be found in every town in every region. They are vital for keeping your Pokemon healthy for future battles." "Come here to Trade pokemon with other members of the site. Some pokemon need to be traded to evolve." "Just like in the games and anime, you can only carry with you six pokemon. With the storage you can view all your pokemon and items and make changes to your pokemon team. Please read the rules." "Come here to talk about the pokemon games or anime. Come here to also talk about the forum." "Found a cool game on the internet? why not share it with the Pdream family. Strickly NO FORUMOTIONS"
"Basically come here to spam your life away -.-"
"This is the forum where you post other Forumotions, but if you do we are able to post back on that site. Please read the rules."